Today I’m in Ann Arbor getting scanned. I arrived at 9:30am and reported in a little early for the first of three scans. The first scan (PET scan) was completed around 1pm. I’m now waiting for the MRI (scheduled for 2:30pm). The final CT scan will be performed at 5pm. I’m sitting in a general waiting area and there is a very talented volunteer playing a baby grand piano. The music is soothing and beautiful. The music somehow reaches into me and stirs emotion. I’m feeling mixed emotions as I sit here and type this update. All the scans will produce 3-D views of the internal body. The scans are used to detect abnormal growths in internal organs. Why three scans? The CT scan is the simplest and fastest of the three scans. It is the lowest cost of the three. 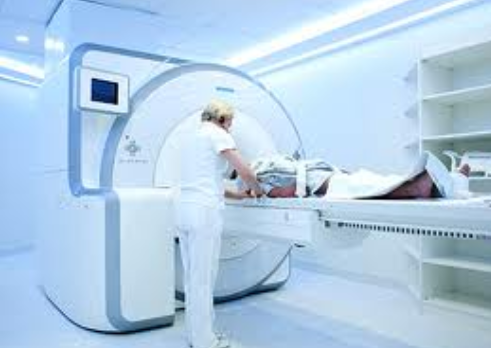 In many cases, the CT scan is all that is used to monitor a cancer patient. However in my case the CT scan proved to be only partially reliable. It did a good job of showing the lung tumor but it did not show the liver tumors at all — my liver looked healthy on the CT image. The PET scan (Positron Emisssion Tomography) measures the cellular uptake of sugar. Cancer will take up sugar at a more rapid rate than healthy cells. In my case, the PET scan also proved only partially reliable. The MRI scan probably saved my life. Without the MRI scan we may have gone on believing that the liver was cancer free (based on the CT and PET scans) and I may not have had the liver surgery that I required. Thank God my oncologist was diligent and used all the tools at his disposal. However, a low CEA level does not guarantee I’m cancer-free. I’d be lying if I suggested that this is not a stressful process. The last couple weeks have been increasingly stressful. As the scan date approached my anxiety level has risen. What will I feel if these scans show more cancer? How could I tell my family news like that? What will I do if I’m faced with more hurdles and challenges? The fact is that cancer is a terrible and persistent disease. And a cancer fight often turns out to be a long marathon. And yes, I feel like I’ve run a marathon over the last two years. However, I know people who are going on over 14 years in their battle with colon cancer. And so I remain hopeful for clear scans. But I’m also cautious as there very well could be more challenges. Thank you all for your prayers and support. I truly do appreciate each and every prayer that has been petitioned on my behalf. And I do thank God for having you all in my life. And I pray to God to protect and watch over each and every one of you. God I know that you are with me and my family and friends every moment of every day. We rely on you as we face the challenges in our life. And we know that these challenges shape us into better human beings. Thank you Lord; for giving us strength in our weakest moments. Thank you Jesus; for the Love you have surrounded us with. Guide us Lord so we may do your will on earth. I will learn the results of the scans on Thursday afternoon. I will post another update then. My prayers remain steadfast, as I’m thankful for the music you heard today which can lift the heaviness, if only for moments, and let you have an emotional, peaceful brake! Sometimes the smallest things bring great strength!! Father Solanus please send peace, love and health to my dear brother. Love is with you always. Praying for you, Phil. I think of the story in Mark 2 when the paralyzed man was lowered through a roof so they could get him to Jesus. What I love is at those moments that are difficult, you can know your friends and family are “carrying you to the feet of Jesus” through our prayers.